We enjoyed this hearty chili recipe tonight: “The Best Vegetarian Chili in the World” from allrecipes.com. I had four hungry family members visiting from out of town and I thought chili would be great to feed a crowd. Except, I also wanted something healthy. I found this recipe while searching online and it seemed pretty manageable. I didn’t have any jalapeno peppers or green chile peppers but I added some red peppers and carrots instead. I don’t like very spicy meals and this one was just right for me. I served the chili with naan and grated cheese. Baby B loved the grated cheese 🙂 And I love one pot meals! This recipe fed six people and there were leftovers! Also, no one was vegetarian and they still liked it! You could tell you weren’t eating beef but the vegetarian burger crumbles were pretty good in the chili. I had not cooked with them before and I was pleasantly surprised. Categories: Recipes | Tags: beans, Chili, Chili pepper, Cook, Fruit and Vegetable, Healthy, home, Jalapeño, one pot meals, Pepper, peppers, recipe, spicy, vegetarian chili, veggie chili | Permalink. In line with my goal to make more homemade goodies this year, I whipped up some nutbutter and apple/peach sauce last week. I’m starting slow, okay! I grabbed bags of nuts that I had left over for the nutbutter. I used hazelnuts and almonds. Since both these nuts are slightly dry, I added just a drizzle of olive oil for a creamy consistency. I threw the nuts in my Vitamix and spun that sucker until the batch looked spreadable. It turned out a dark, rich color with flecks of deep brown. The apple and peach sauce was easy too and a few apples go a long way! I cored and steamed about 6 apples and then threw them in the Vitamix after they cooled a bit. Save that water from steaming for smoothies! Then I added a freezer bag full of sliced peaches leftover from summer. I kept spinning until the peels were ground up so Baby could swallow it easily. The batch made two large jars full! 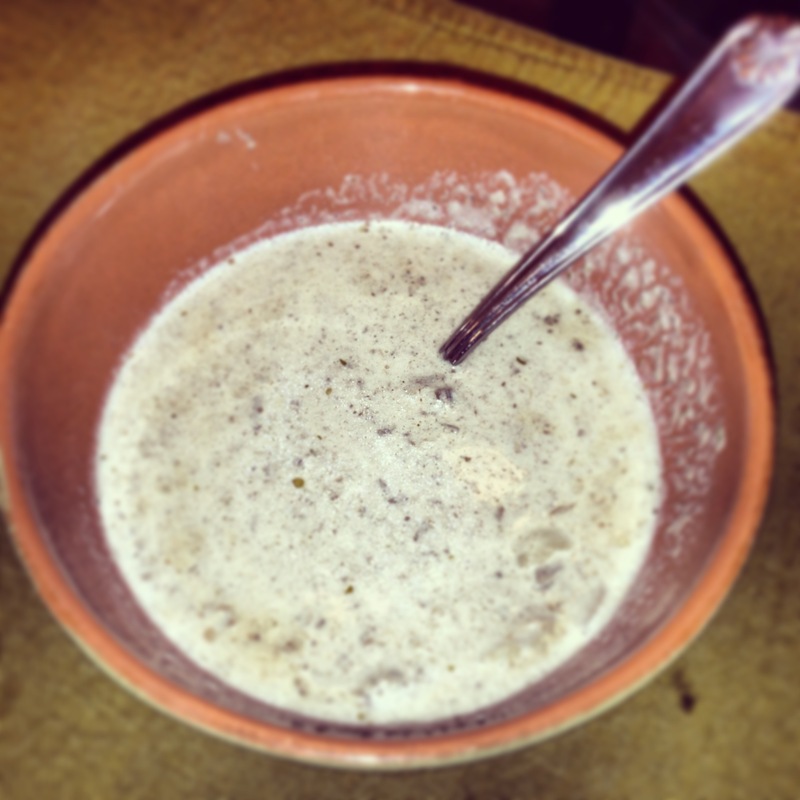 I keep adding the sauce mix to other things – hot cereal, yogurt, puree veggies. I need to try an applesauce muffin recipe next. Can’t wait to try some other homemade goodies this week! Categories: Homemade Goodies | Tags: almond, Apple, Applesauce, Baby food, Cook, Fruit and Vegetable, hazelnut, home, Homemade, nutbutter, olive oil, peaches, Porridge | Permalink.